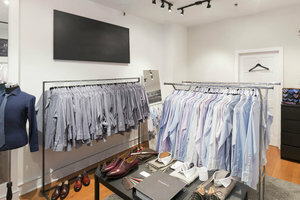 This cozy shop space in Midtown East is perfect for creative brands to host Pop-Up Stores, Product Launches and Fashion Showrooms. This space is a white-box retail outlet with a glass frontage with large display windows which off great visibility. The interiors are a blank canvas ideal for brands to transform into their ideal debut retail space. Every rack seeing in the pictures are available for the renter. 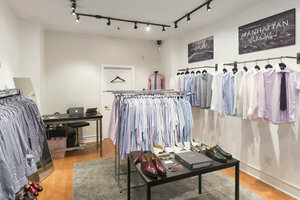 This space is known as an incubator space for fashion and design brands to make debut retail ventures, offering great exposure for brands looking to venture into the NY market.